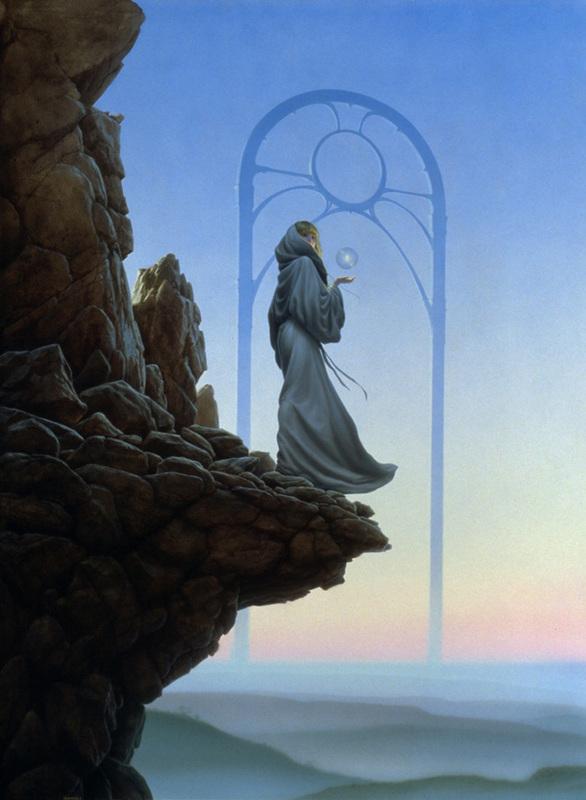 A painting with many meanings, but the most obvious one deals with the question of the woman taking a last look back before she decides to step off the cliff and go through the arch to an afterlife-or does she turn around and stay? Michael doesn't like to say, since he also considered it as a portrayal of him "stepping off the brink" from his safe career as an illustrator into the unsure world of fine art. Judging by her quietly assured pose, it seems that whatever she chooses will be the right decision. Michael didn't feel so calm about his!